Oppo A37F stands in tough competition with other android smartphones in the market. It was launched in June, 2016. If you own Oppo A37F and drivers are required, then we are providing all the compatible drivers for this device. 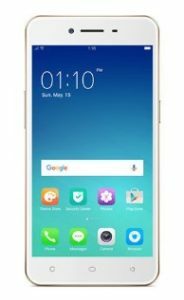 Oppo A37F is a handset popular because of its features and performance. It is powered by quad-core 1.2 GHz Snapdragon 410 processor with 2 GB RAM. It offers 16 GB of built-in internal memory and user can also expand it via micro-SD card. The camera department secure 8MP Primary camera and 5MP secondary camera for selfies. The version of software installed on it is Android 5.1 (Lollipop). The Latest varient of this mobile is Oppo A57. If you are looking for High end popular Oppo handset, then I will recommend you Oppo Find X and Oppo F7. Oppo A37F price in India starts at 8,990.